As 2018 continues to move forward, several subplots are unraveling in the boxing world. As is often the case, the welterweight division is again one of the hottest in the sport and there are several potential matchups that fans are dying to see. 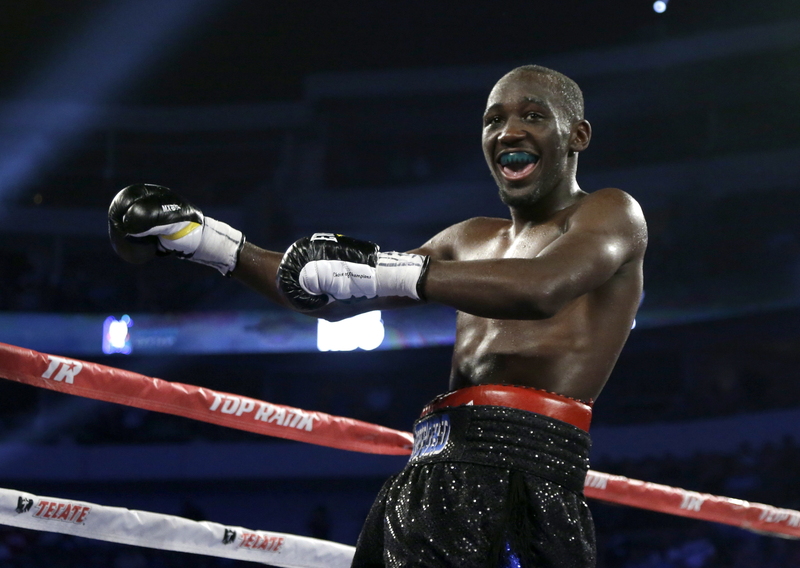 With lineal junior welterweight champion Terence Crawford having officially vacated his titles in an effort to make a run in the division, there is speculation about all of his future fights. One name that has came out of Crawford’s mouth is that of WBA/WBC welterweight champion Keith “One Time” Thurman. A Thurman vs. Crawford fight is an interesting one, but there are some things to consider before this bout could come off. On Saturday, April 21, Crawford is expected to take place in his first official bout in the welterweight class, as he will likely challenge WBO champion Jeff Horn somewhere in Las Vegas in a possible pay per view attraction. What is expected of the fight is that Crawford will likely win, as he will be a big betting favorite due to his style, class, and skill set. Horn is a tough customer, however, as he is still riding the wave of having upset former eight-division world champion and Filipino icon Manny Pacquiao last July in his hometown of Australia. That win put Horn at a different level and now that he is a champion, so too has his confidence surely increased. Horn will be a betting underdog but still a very live dog in this fight. Thurman has been inactive since his split-decision victory over Danny Garcia this past March, in which it was later revealed that he had injured his left elbow prior to the match. It’s not always a good sign to see a champion in the sport sit out so long, and Thurman has been a bit evasive about what his future holds. IBF champion Errol Spence Jr. has also been calling for a showdown with Thurman, to no avail himself, so it remains to be seen what Thurman really wants at this point. Former two-division world champion Jessie Vargas is expressing serious interest in facing Thurman, and that fight has been rumored for possibly taking place in April. If Thurman can emerge successful against whoever he faces, it will allow him to shake off some ring rust and also have a much clearer visions of the remained of his 2018 schedule. Thurman vs. Crawford is a truly excellent fight if it ever happens, between two champions in their respective primes. Some things to consider would be that Crawford will still be adapting to the welterweight class, while Thurman has been fighting there for several years now. Also, how will Thurman’s layoff affect him? Thurman still is in his physical prime, but inactivity and wear and tear can catch up to all champions. Also, there may be a promotional issue that needs to be sorted out, as Crawford is with Top Rank, who has a recent output deal with ESPN, where as Thurman is managed by Al Haymon and fights on the Premier Boxing Champions banner. It’s a great match of styles though, given Crawford’s great skills and ring awareness, going up against the fluid, power-punching Thurman. Let’s just hope we get the chance to see it.